Now that I got the greeting choices of the day covered, how about some other choices? I'm tryin' out something new.....It's been taking... forEVER to get the store website built! Eventually, we will sell custom order beads and ceramic jewelry from our own website and sell other various beads (not custom) through Etsy. Since I'm limited with the website builder store that I use, I have come up with a way to display the choices that I have. I've done this using MicroSoft Word, as I have shown in the tuturial that you can find right HERE. 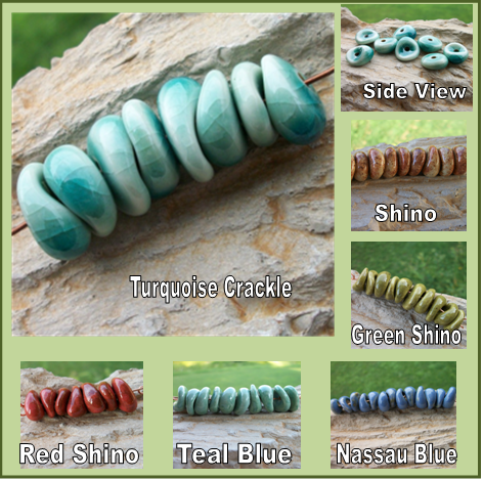 "Do you like the idea of ordering multiple beads from private websites and artists that you are familiar with or do you prefer to shop on sites like Etsy that offer a large variety of artisan beads from a larger variety of artists?" "Why?" That's it! Make sure you stop back next Thursday to see if you are the winner of this very popular style that was originally designed by, my then, 2 year old granddaughter. If you are interested in that story, click HERE to be taken to our group blog. I love those beads, I would (will :) have a terrible time choosing. 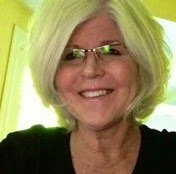 Good Morning MaryAnn~ Love the look of your new website. I know it's a labor love to build it! But you've done a very nice job. As far as who/where I buy from, I often get referrals of wonderful artists from friends and other jewelry designers. If they have a personal website, I love shopping direct. However if they only operate Etsy or Artfire, I'm totally okay with that too. The other place I find referrals is from the groups I belong to on Facebook. When artists are promoting each other, you know their work is good and their service even better. Thanks for asking! I look forward to reading with others have to say too! Have a terrific day! P.S. As I'm typing this, I'm drinking my morning coffee out of my FAVORITE mug from Splitfire Pottery... I just love it! I prefer to shop on Etsy or Artfire - because I have this habit of adding things to my "cart" and then I can compare different things (on the same page) to see which ones I REALLY love and will purchase. I also like the idea of being able to mark something as a "favorite" or "hotlist" and then going back to it later to purchase. Etsy makes it easy to have a Favorites section -- but I'll buy wherever I can find things I love! I guess I usually go for etsy, since you can have all your favorites in one place. But if an artist mentions they have a separate website, I'll definitely visit that too! Tough question, Mary Ann!!! I shop ANYwhere, and EVERYwhere I can find unique beads. That's my criteria, really. I found several artists I love on ETSY... (one is this lady that goes by MACarroll..... :) but will shop with them on their own website if they have it... more choice, usually. So, I guess I prefer to shop outside ETSY, but shop for ARTISTS inside ETSY... make sense?? You KNOW I love the Laceys!!!! I often go to Etsy because I have discovered so many artists I like there and I can list them as my favorites. It's very easy and faster to check on many of my favorite artists and see what is new, and nice to be able to load desired items into one cart. If, however, I find that an artist on Etsy has another website, I do follow them there because they often have different items for sale or a more extensive selection. If I like the artist's work, I am willing to search out their work wherever it is available. Love the beads! I shop mostly on Etsy and have all my favorite shops bookmarked, but if something I wanted was offered on their own website, I would buy from it. Etsy makes things so easy because everything is in one spot though. Thanks for the giveaway!! A real shopper goes where the beads are, wherever that may be! But to be more specific, I go to Etsy most often, for all of the reasons already mentioned, it's convenient. If the artist also has a website, that's great, but I don't like paying the shipping from 2 different places, that's the little extra that could be spent on beads! Love those Giveaway beads, thankyou! I absolutely love your beads and your new website. They are both fabulous! I like to use Etsy when I'm looking for different types of the same bead and to find new artists as well. But, private websites that you can purchase from are great, too. No matter where my favorite bead makers put their goodies up for sale, I'll follow them and go there to purchase. Now I just need to find some more money...hmm. :) Thanks! I usually shop Etsy too but I have some favorite artist that I regularly shop. I'm not opposed to shopping individual artists but it is easier on Etsy where everything is in one place.